I'm a wife, stay-at-home mom, crafter, and blogger living in rural New England. As seen in Martha Stewart Living, Food Network Magazine, and more! 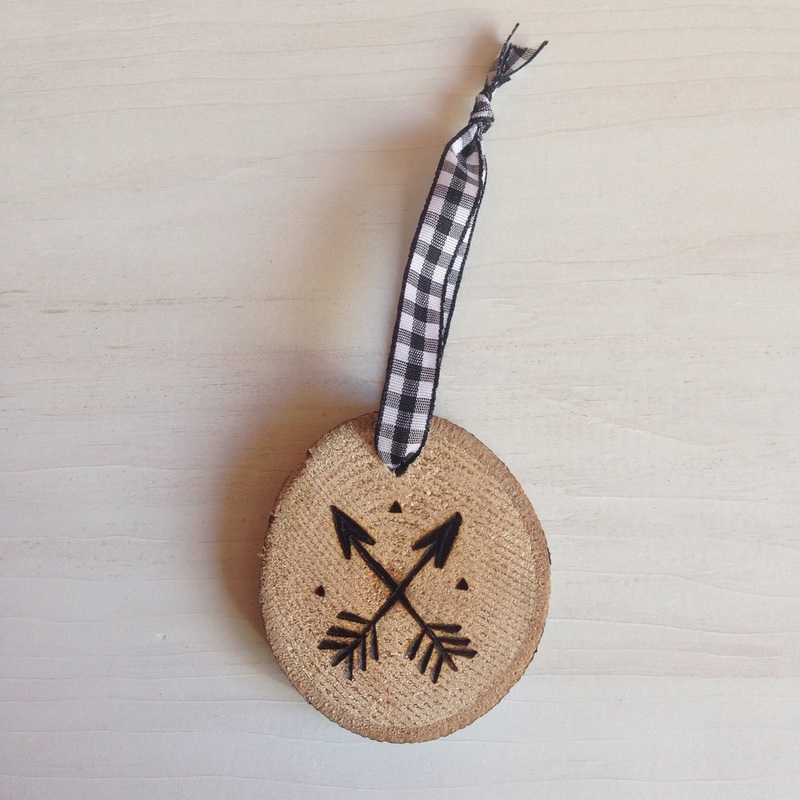 It's been awhile since I've had arrow ornaments available but I thought I'd bring them back because they're so fun and, well, arrows are big right now! I have them listed in the Etsy shop in both birch and maple with your choice of ribbon. Hi there, I'm Sarah! Wife, stay-at-home mom, crafter, blogger, + local product lover living in rural New England. Follow the blog for craft projects, tutorials, reviews, and lessons learned as first-time parents. Some links on this blog may be affiliate links, which means that I may earn a small commission if you click through or purchase using these links (there is no additional cost to you). Items that have been provided to me for review are disclosed, and all opinions expressed are always my own. Please read our full Disclosure Policy for more information.